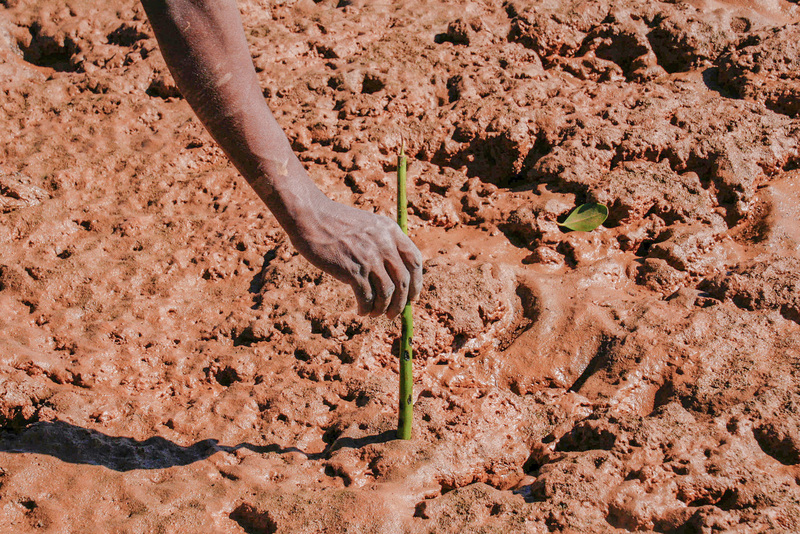 home › posts › Ten Steps to Planting Trees... ten trees planted for every item purchased. The process of tree planting can vary greatly according to what type of tree will be planted, as well as the environment. Some species are most suited to cooler, moist climates, while others thrive in areas with dry heat. 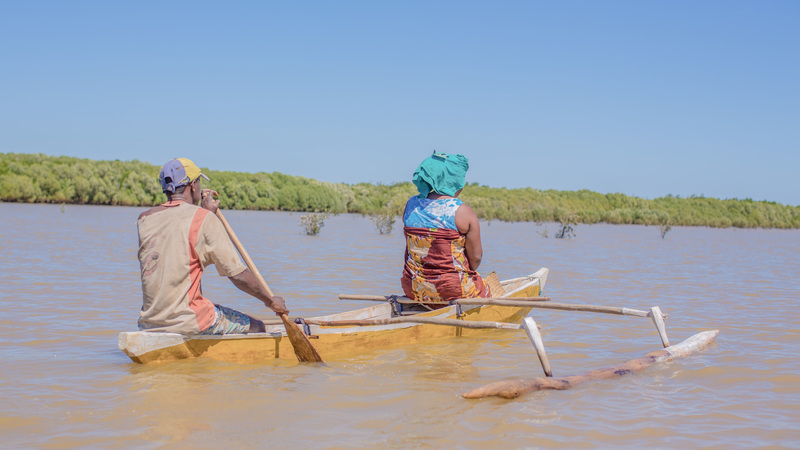 Along the coastline of Madagascar in the town of Mahabana, tentree is planting mangroves — a grouping of trees that grow in saline coastal sediment habitats. 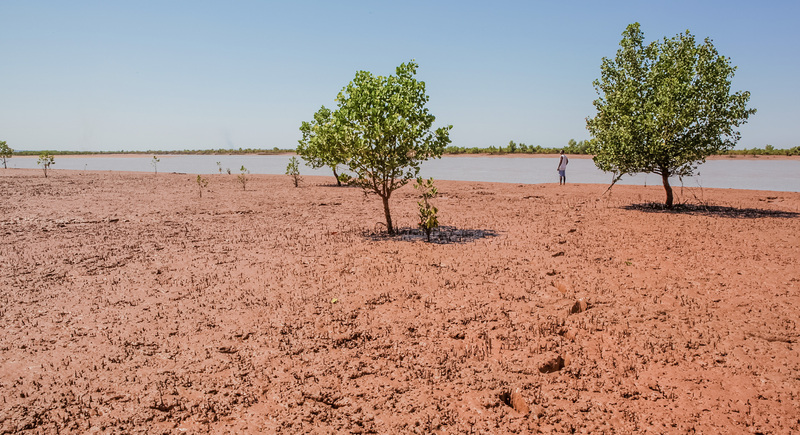 What this means is that for mangroves to survive, they need the high salt content of ocean water and fluctuating tides. 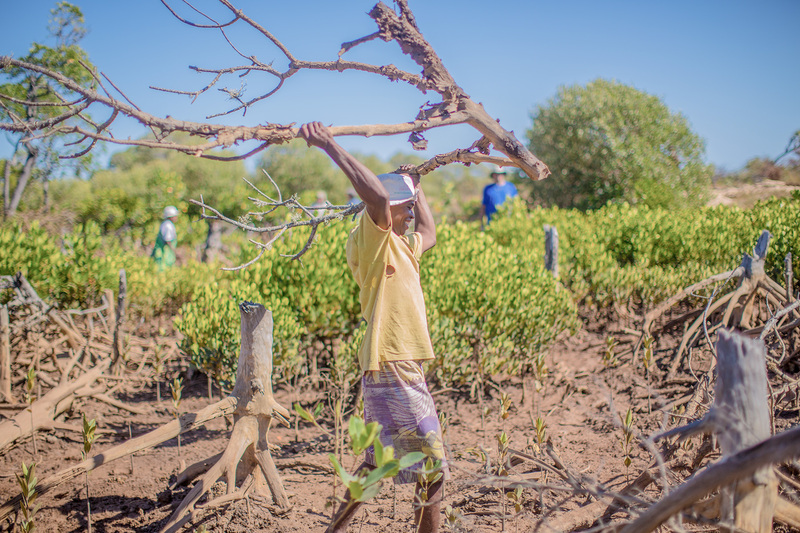 Before any physical planting takes place, the day will be planned based around village activities or meals — as the community of Mahabana does not use the 24-hour clock. Instead, they may plan to plant once they have finished breakfast, and continue until sunset. 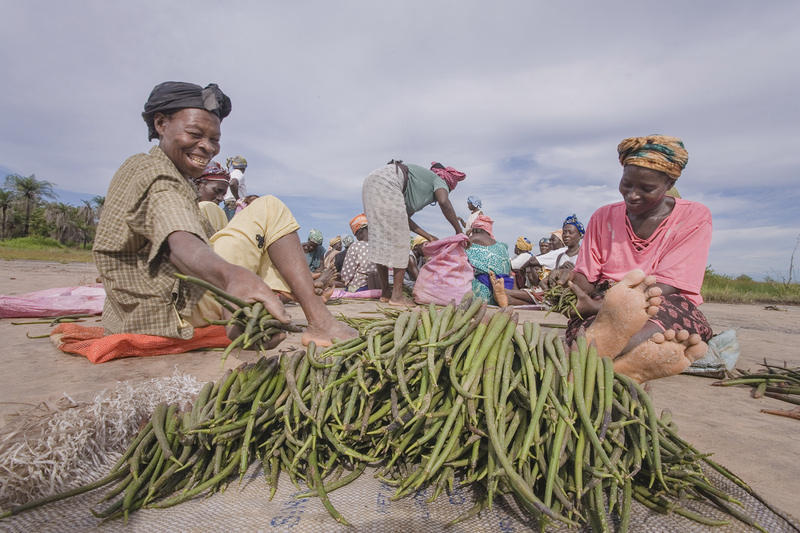 The village leader must make sure everyone involved is also aware of the planting date and any possible changing conditions that may impede their work i.e. weather, water levels, and soil conditions. Once the logistics of the day have been organized, it’s time to plant. 1. Collect Propagules (A.K.A. seeds) Twice a year, villagers will go out and check if the propagules are mature enough to be picked. Seedling collection will start if (1) some propagules have already fallen to the ground naturally, (2) the propagules are coloured dark green (light green = not mature enough), and (3) when uncapping the end a small bud appears (if the bud breaks, the propagule is no good). 2. Inspect Care must be taken to choose the best propagules while separating the damaged and immature ones. The best propagules are stored carefully, horizontal in bags (rice packets). 3. Transport The bags of propagules are then transported back to the village, stored in the shade, and kept wet until the planting day. 4. Sort The propagules are dumped out onto a mat and sorted by species, size and health. 5. Count The number of propagules taken out for the day is counted. 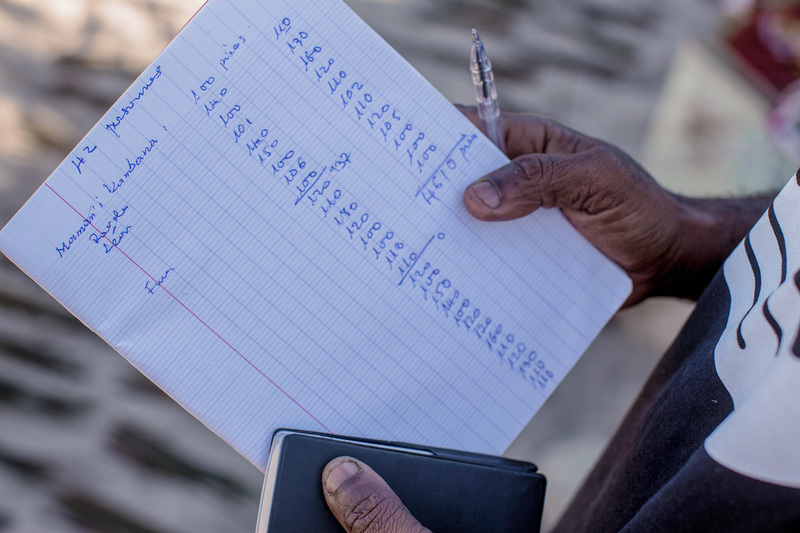 The final count is reported to the village leader and he/she will confirm that that the number of trees will be able to be planted that day. Upon their return to the village at the end of the day, the number planted is confirmed. This is the number we use for verification. 6. Select a Site Villagers go out and choose a deforested area along the water that needs replanting in order to stop soil erosion. This will be an area susceptible to damage from cyclones. It will be moist, silty soil, as propagules cannot grow in dry soil. The area should be entirely immersed by the ocean at high tide, including neap tides in the dry season. 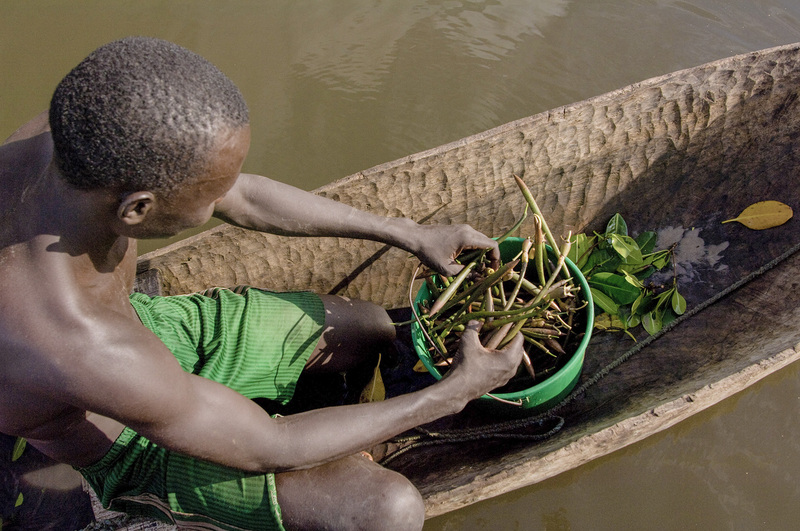 Lastly, it must be close to the village so that it encourages fish to return to the area, restoring an ecosystem close by that the locals can utilize. This will also mean having it close enough to the village that adequate planting can be done in a single day. 7. Clear Debris Dead wood from mangroves that have been cut down in the past must be cleared from the planting site. 8. Map out planting This operation must be made at the end of dry season when the tide is lowest. A group of men or women will trace the entire reforestation area with a GPS unit. The next step is to define the current day's reforestation area within the site. 9. Transport The bags of sorted propagules are transported to the site for a day of planting. 10. 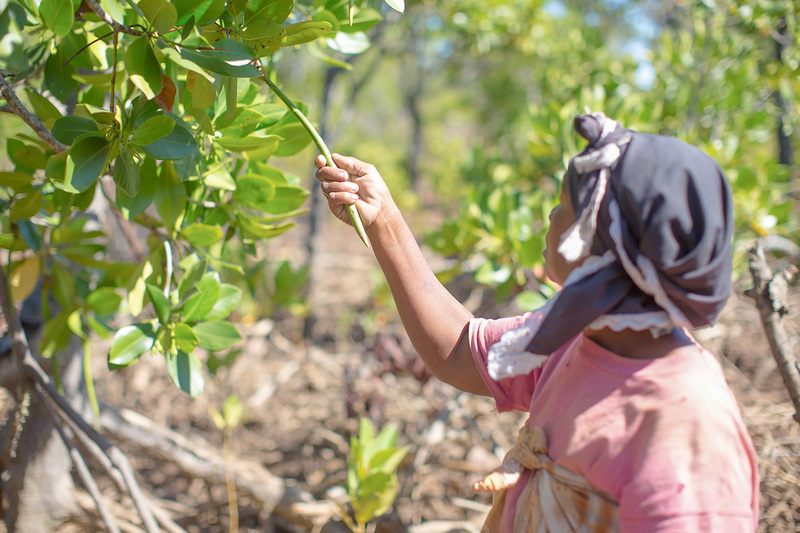 Plant Typically 5000 trees will be planted per hectare (which means planting one mangrove every two meters). This is measured out by one propagule for every two steps. The seedlings must go straight in, pressing one third of the propagule down into the mud. 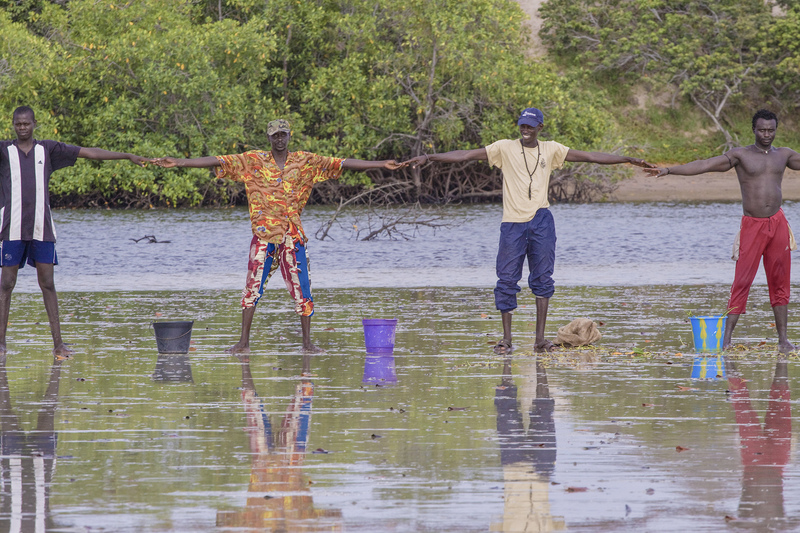 Once the area has been reforested, it is important to return regularly to check on the young mangroves and clean up any debris that has found its way in. 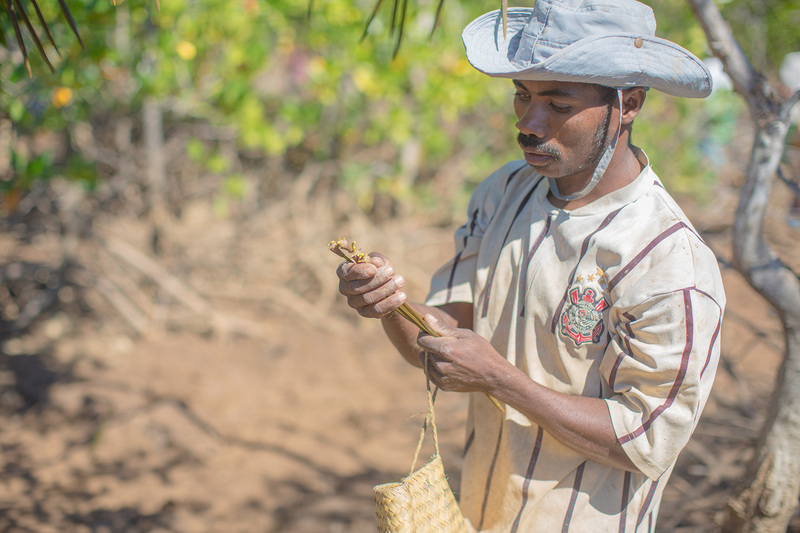 The post Ten Steps to Planting Trees in Madagascar appeared first on tentree.